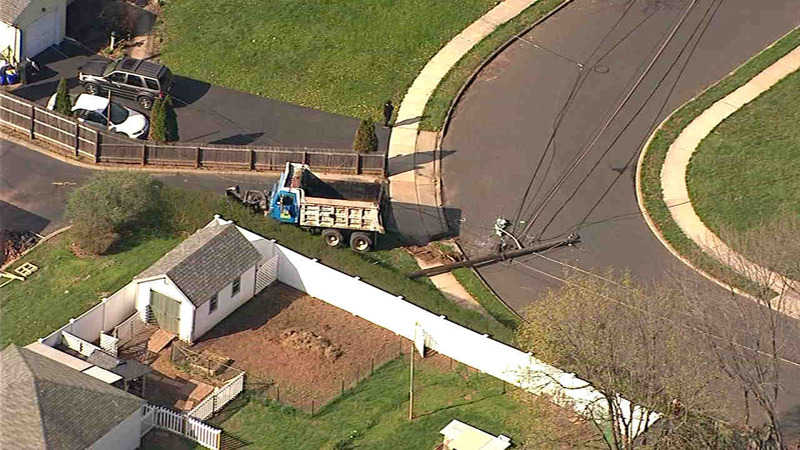 RARITAN, New Jersey (WABC) -- An out-of-control truck in New Jersey ran into power poles, coming to a rest at a home. The dump truck reportedly rolled down a hill in Raritan, knocking down two power poles and ending up in a driveway. The truck came to a stop near the intersection of Ashton Street and Danbury Avenue. Ashton was closed from Danbury to Avon, and power was out in the area with repairs expected to take eight to 10 hours.